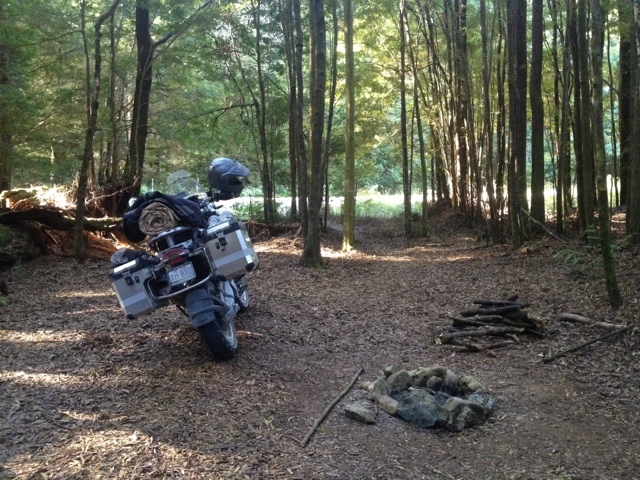 Broke camp and rode to the Corinna punt the "Fat Man" to cross the Pieman River. 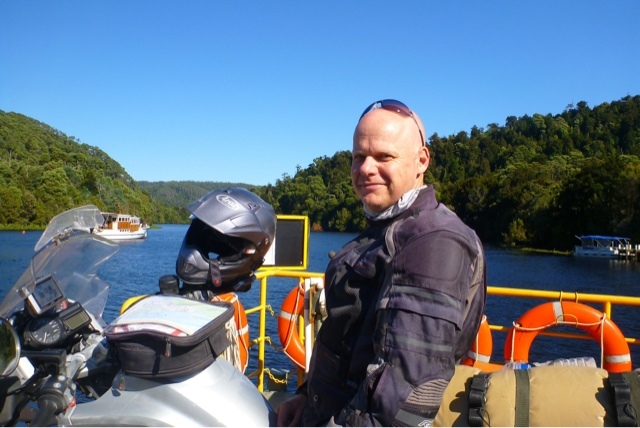 From hear the dirt eased and soon we were on sweet tar to Zeehan for Coffee. 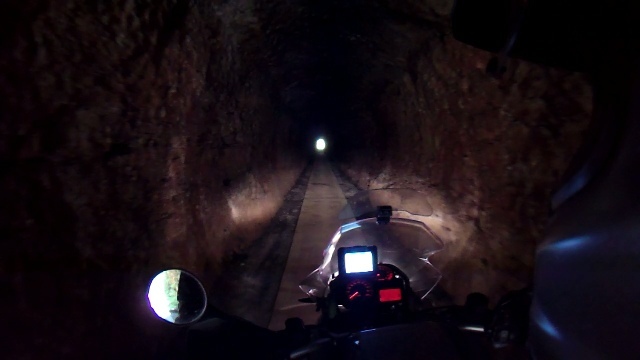 Whilst in Zeehan we rode up to see (and ride through) the Slip Tunnel. The Slip Tunnel connects two sides of a mountain for mining purposes that have long since past. The tunnel is just big enough for a car but once in you cant open the doors. Apparently couple freaked out recently and got stuck so now it is no closed to all but pedestrian access.Unless of course you can squeeze your bike between the bollards as we did. A bit of fun and the ride up was very pretty. Speaking of fun. 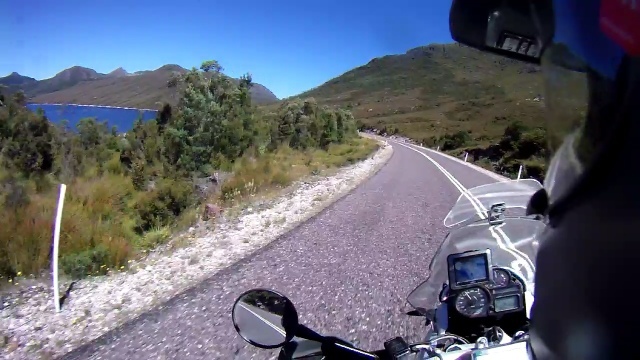 As the day was still young we decided to take the long way to Strahan via Rosberry-Lake Pimsol-Queenstown. Yee-Haaaa what a road, well surveyed, good surface, no traffic, no cops, twisties, sweepers, fast straights, spot on scenery, etc etc. The Beemer, her new tires and slightly more competent pilot ate this up. Still buzzing, we checked into the Hotel in Strahan and celebrated with a beer overlooking the harbor as is customary.